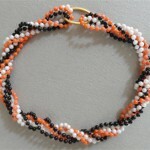 Back in the 7th and 8th grade there were several ways to show your love and devotion to your B/F/F. 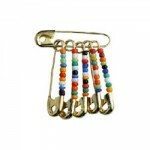 You could exchange little friendship pins, the safety pins with tiny, bright colorful beads on them. 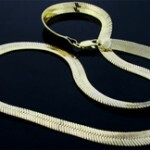 We’d wear them up high on the laces of our Puma sneakers or pin them to the straps of our purses. 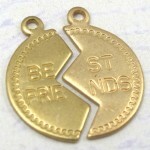 You could also break the sacred “Best Friends” charm in half and wear it on a chain around your neck – this was a ritual reserved for that one-and-only, your very best friend. 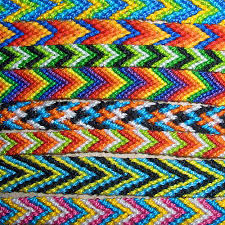 Bright, colorful, woven symbols of friendship that could be exchanged and given to anyone you considered a buddy, friendship bracelets were all the rage in the 80s. 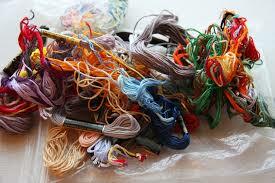 Such intricate little patterns and designs all done with threads of skinny embroidery floss! 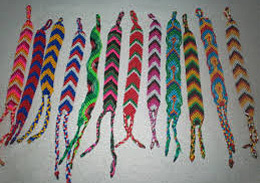 My mom was super into cross stitch at the time; I used to swipe her supplies to try and whip up funky bracelets for my friends. And didn’t the different colors each have different meanings? Like green was for luck, red was for love, etc. etc. 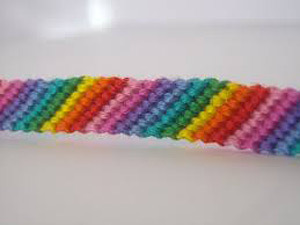 The bracelets didn’t have a clasp on them, you stacked them and tied them onto your wrist so once they were on . . . they were on for a while. After months of showering and swimming with the bracelets you’d have to cut off the warped, faded symbols of friendship. 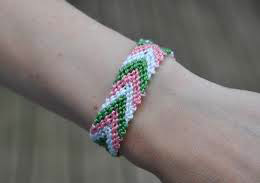 The thrill of getting one of these puppies from a good friend or from a cool girl in homeroom could bring a smile to your face each time you look down at your wrist. 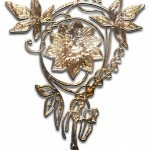 Am I right that these symbols of friendship may be making a comeback? 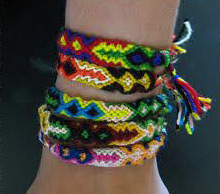 I’ve noticed some brightly colored homemade looking bracelets on some girls’ wrists lately. Whenever I see them it makes me smile, taking me back to my ‘tween years. 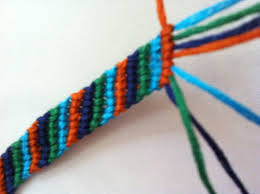 The thrill of getting a friendship bracelet from someone special and seeing one that you made for a friend on someone’s wrist – kinda makes me want to raid Mom’s little cross stitch kit again.